Modern Round offers different memberships and lounge access passes. Members and passholders will learn from certified instructors in a safe environment focusing on helping them master the fundamentals of shooting and firearm safety. There are also training classes offered and provided for Modern Round Members. 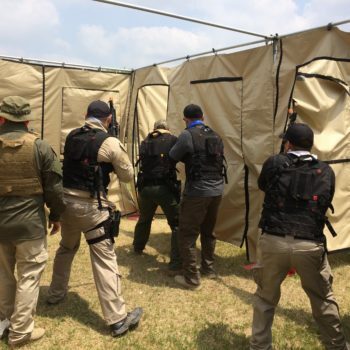 Modern Round seems to be the best of both worlds, offering a cool place to practice your shooting and marksmanship, while also being in a fun, social environment where you can eat, drink and mingle. Interested in checking it out? More info on the opening and hours are here. It has been an exciting journey for us at SBTactical to work with the Modern Round leadership team in developing the replicated ‘fire arms” for their simulators. We are very excited about their opening and wish them all the best this weekend and beyond.